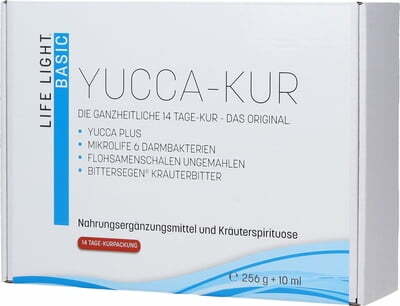 Yucca plus: Natural blend of desert plant and highly active barley grass. 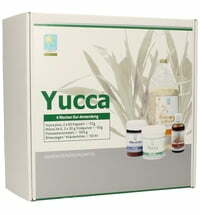 Wildly gown Yucca root (50%), dried barley grass powder (50%). 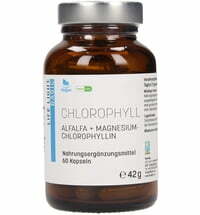 Plant-based capsule (hydroxypropyl methyl cellulose). 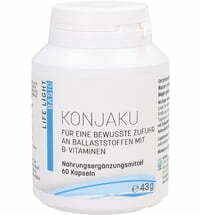 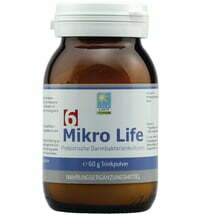 Mikro Life intestinal bacteria: contains six different probiotic strains of bacteria. 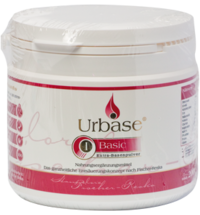 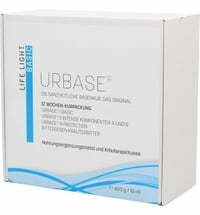 Also contains cornstarch, maltodextrin, probiotic bacteria cultures (Bifidobacteria bifidum, Lactobacillus acidophilus, Lactobacillus casei, Lactobacillus salvarius, Lactococcus lactis, Enterococcus faecium, Fructooligosaccharides, microcristalline cellulose, enzymes (alpha amylase), vitamin D (cholecalciferol) Free from fillers or allergens. 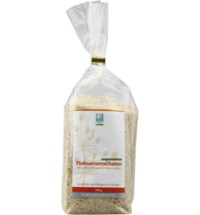 Psyllium seed husks: A natural dietary fiber with high swelling capacity and bonding power. 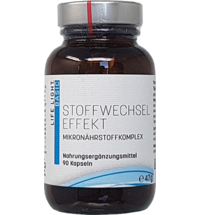 Bittersegen herbal liqueur: Alcohol 59% vol., water, botanical herbs and spice extracts. 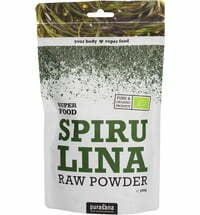 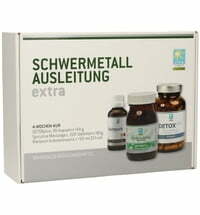 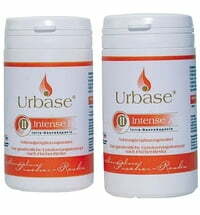 Natural mixture of the desert yucca and highly active barley grass.